Dodge Dealers II M110 8" self propelled howitzer at Fire Support Base Hampton. Fire Support Bases (FSBs): Dodge Dealers II at Fire Support Base Hampton. 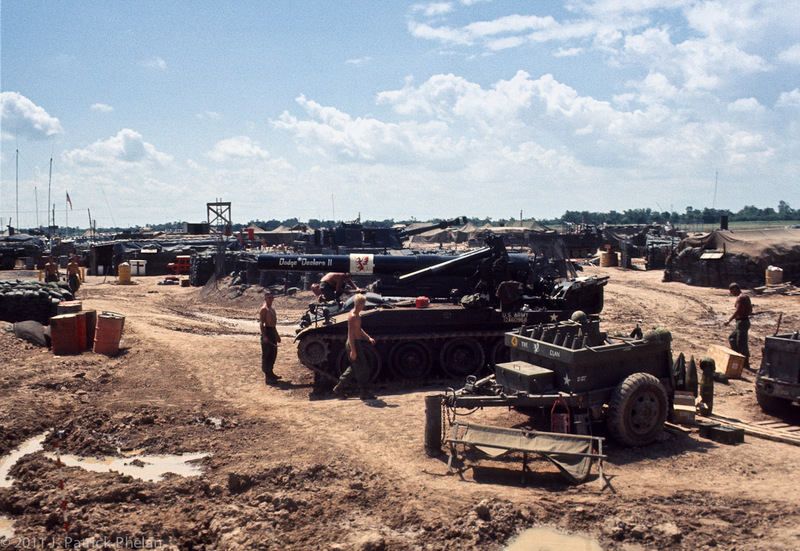 A 3rd fo the 13th Field Artillary M110 8" self propelled howitzer, with ammo trailer in the foreground, at Fire Support Base Hampton located at the southeast edge of GoDau Ha, South Vietnam, is being made ready to be moved.